The secrets of hypnosis workshop for me was a very well organized workshop covering basic and advanced techniques of hypnosis. Good to see Paul Mckenna for my first time and of course a pleasure to receive training from Dr. Richard Bandler again. 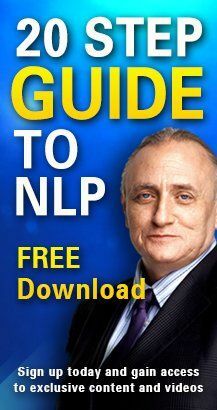 As not having had practiced much NLP techniques since completing the practitioner training in may 2012, I was amazed at how quick all came back to mind when accessing the unconscious mind while doing the exercises. I noticed that many people from previous seminars were attending also and this created a good opportunity to share experiences along with receiving further tips and tricks. I hope this testimonial inspires other people also to now attend any one of the life enhancing NLP Life events as I´m sure you will not regret going. All the best to the NLP Life team & look forward to meeting again soon!